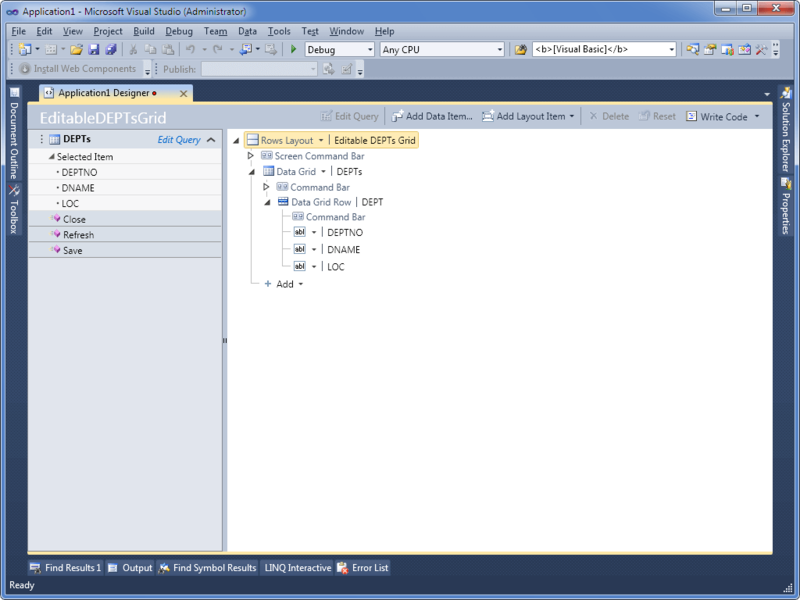 This Microsoft Visual Studio LightSwitch tutorial helps you to quickly get started with creating LightSwitch apps connecting to Oracle with dotConnect for Oracle ADO.NET provider. 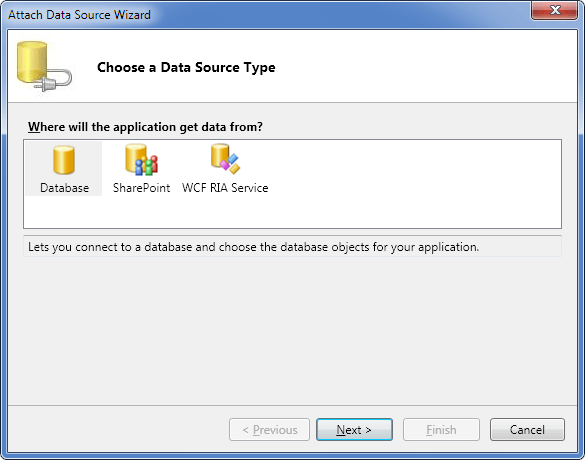 To complete this tutorial, you will need to install Visual Studio LightSwitch and dotConnect for Oracle Trial or Professional edition. 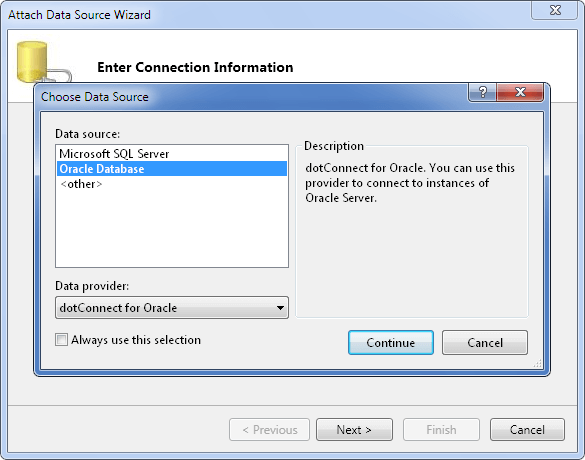 Select Oracle in the Data source list, select dotConnect for Oracle in the Data provider drop-down list, and click the Continue button. 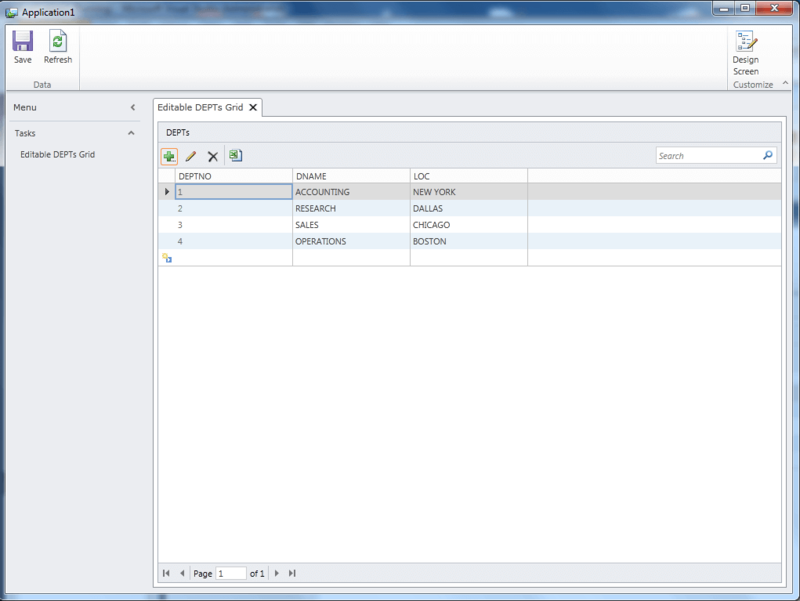 Now a simple LightSwitch application with Oracle connection is ready. However, it throws an exception when you try to update data because of the unsupported default LightSwitch transaction isolation level RepeatedRead. 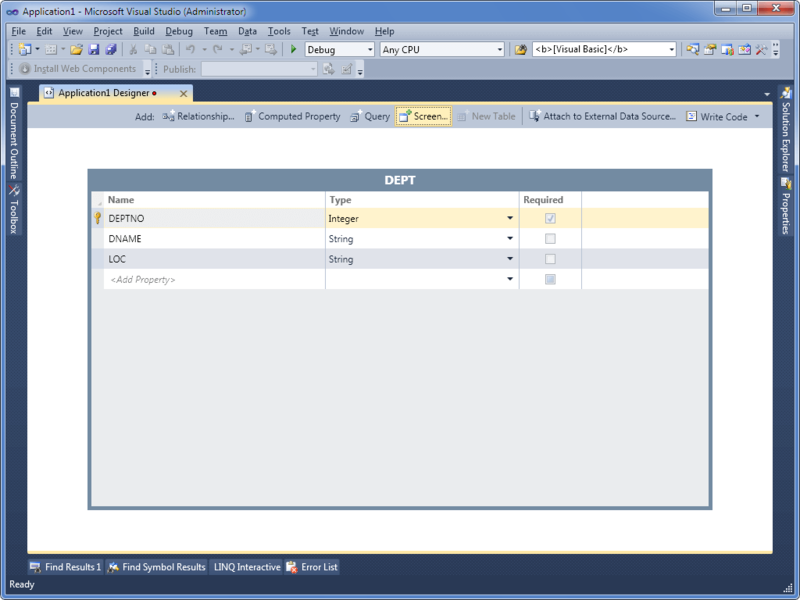 Deployment of LightSwitch applications, using dotConnect for Oracle, has the same requirements as deployment of Entity Framework applications, using dotConnect for Oracle. LightSwitch specific requirements to deployment are described here . 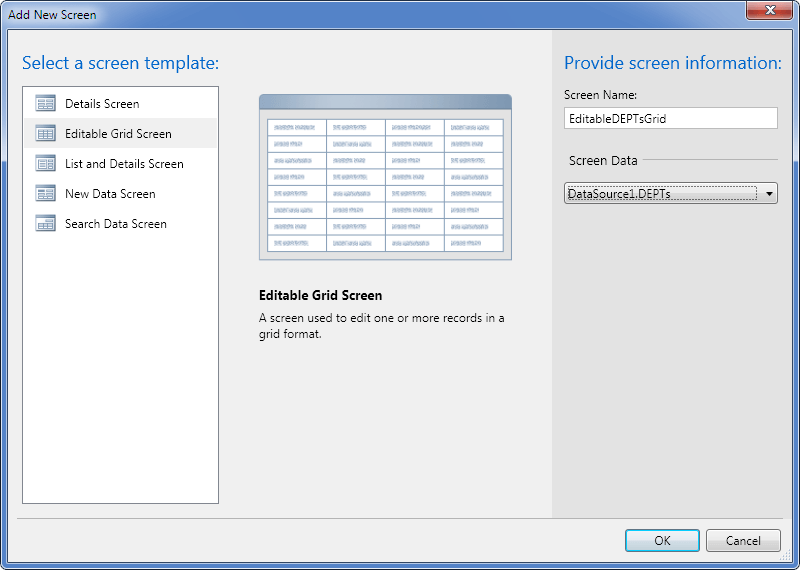 dotConnect for Oracle specific requirements to deployment are described here. 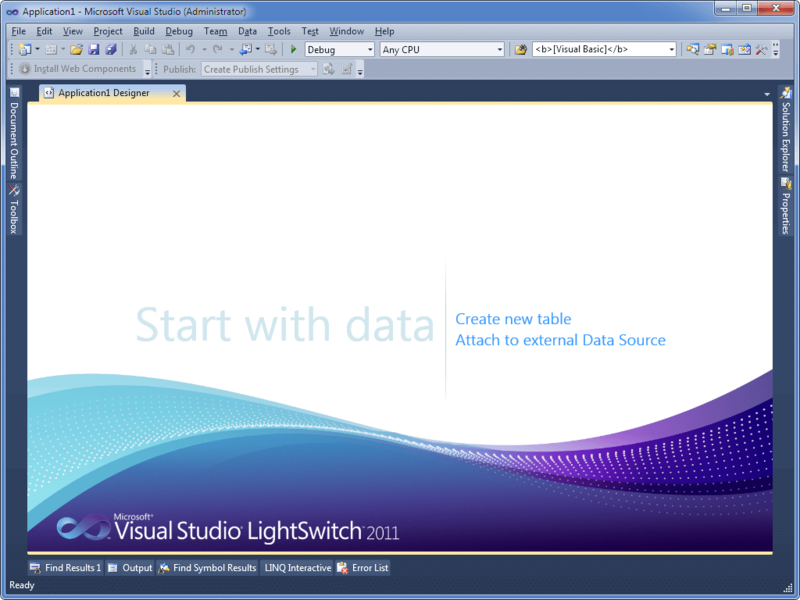 As the LightSwitch technology was designed with Microsoft SQL Server in mind, support for Visual Studio LightSwitch in Oracle (and other) data providers has some certain limitations. By default, LightSwitch uses transactions with isolation level RepeatableRead, which are not supported by Oracle (and most other databases). 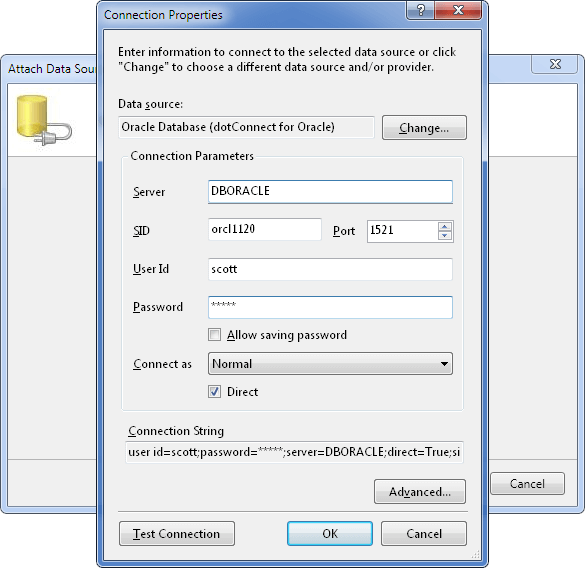 dotConnect for Oracle throws an exception when LightSwitch application tries to update data. In this tutorial we provide the steps to avoid this issue (see above).